Matt Genther skied the Canyons, strolled Main Street and took a short hike before concluding he wanted to live in Park City. 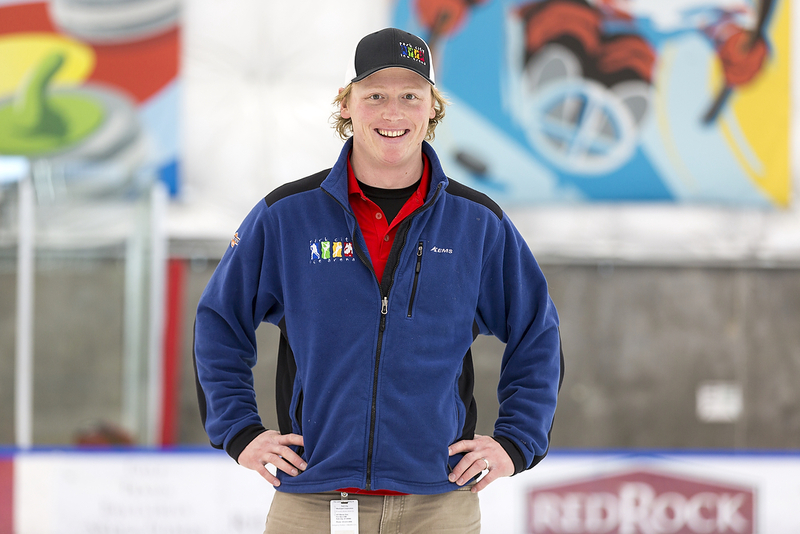 Genther is the Ice Program Coordinator at the Park City Ice Arena, responsible for scheduling all hockey, skating and curling programs on the ice. "I think we were in town for about an hour before we decided," says the Pennsylvania native. That was 2006 and he was here with his girlfriend, now wife, Julie, visiting friends in Salt Lake City. He and Julie were living in Philadelphia at the time, faced with commuter gridlock and rising gas prices. "Really I just wanted to get rid of my car and move somewhere that had a decent mass transit system," he laughs. "We were looking for a mountain town and it came down to a toss-up between here and Steamboat Springs, Colorado." After making the move in 2008, there’s no going back for the congenial Genther, 31, who says the relatively laid- back lifestyle here suits him. A hockey player practically since birth, Genther says growing up on the south side of Philly was great. "I remember one winter when I was 10 years old. We had a big ice storm and I skated on the streets all the way to the pond where we played, about two miles." After twelve years of Catholic school he went on to college, earning a bachelor’s degree in Hospitality Management from East Stroudsburg University. He and Julie went through high school together, then "reconnected" and began dating seriously while in college. "We had a lot of common ground," he explains. "We both loved music and the outdoors, so we went to a lot of outdoor concerts together." They’ve been together for 11 years. Genther toiled in the hotel and catering business in the Philadelphia area for about three years before making the move to Park City. He worked in property management at Deer Valley for several years before making the career change to the ice arena last year. He places a high value on customer service, a trait which serves him well in his new job. "Coming from property management, it’s a different kind of service here. We’re not talking about $1000-a- night rooms, but instead a $6.50 session of skating and maybe a few bucks for skate rental. You still want to give each customer the same kind of respect and attention regardless. I try to learn and remember the names of everyone who comes through the door," he says. As program coordinator, Genther is bringing new ideas to the ice. "I’m always rethinking our processes and procedures, coming up with new ways to take advantage of the technology available to us," he says. Lately he’s working to steer more public inquiries to their website http://www.parkcityice.org . "We have hard copy flyers available at the arena, but the best place for up-to-date information is the website." Genther credits the arena’s talented staff for its flourishing ice programs. "The people I work with are amazing. Just about everybody is either a figure skater or hockey player. The instructors who work with the kids are an amazing group. I’m a dad so I really appreciate that." He and Julie have two children: Deklyn, age four, and Seamus, an adorable nine months. The Irish names are a nod to his strong Irish roots. "I’m passionate about instilling a love of the outdoors and music in our kids. Deklyn is already on skates and skis and she’s pretty good," he grins. Genther is excited about a big curling event slated for late next summer on Labor Day weekend. The Park City Ice Arena is hosting its very first bonspiel (curling language for tournament) and expects curling clubs from all over the country to come and compete on Park City ice. Though he loves his ice, Genther says summers in Park City are glorious. He especially loves all the outdoor concerts around town. "That’s when the town pays us back for all our hard winter work. That’s our time to relax and enjoy." Favorite reading: "technical stuff about the science of ice-making"
Animal companions: A seven-year-old Husky/Australian Cattle Dog mix named Kimmo (after a legendary Finnish hockey player). "He’s my best bud."